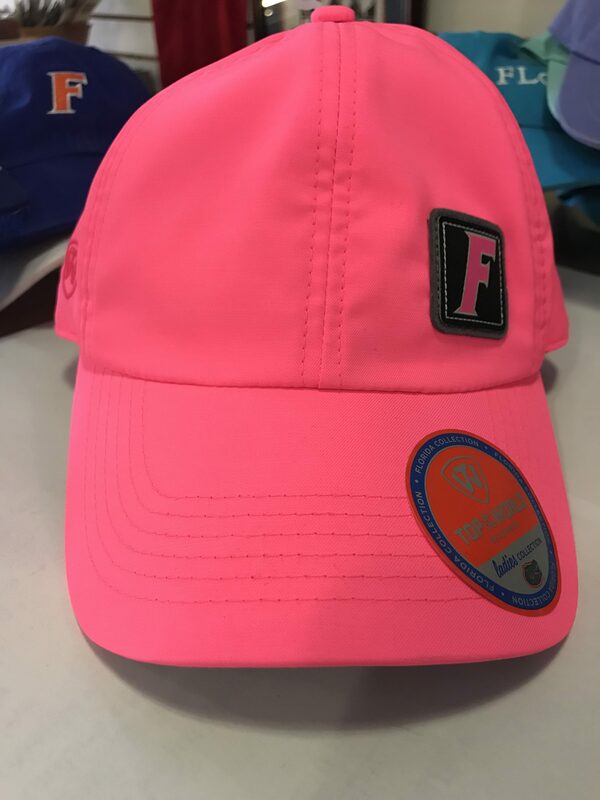 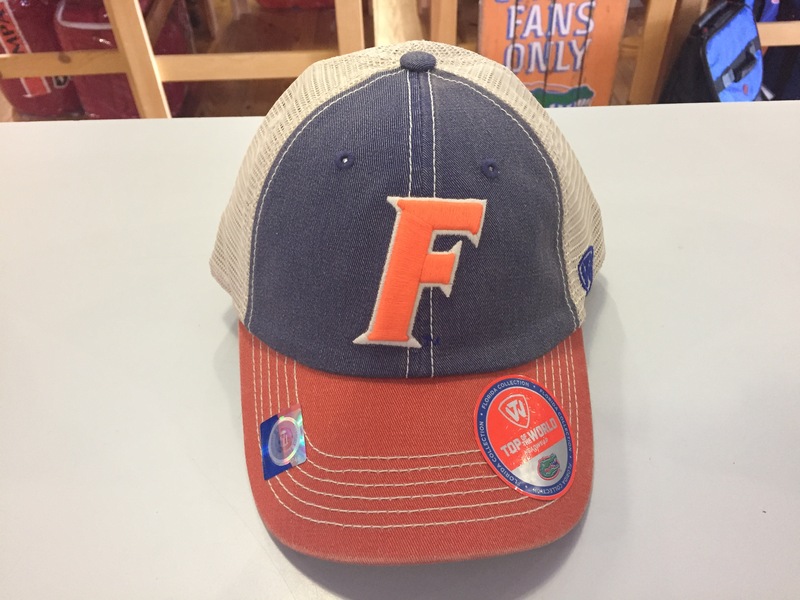 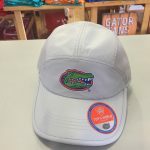 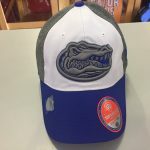 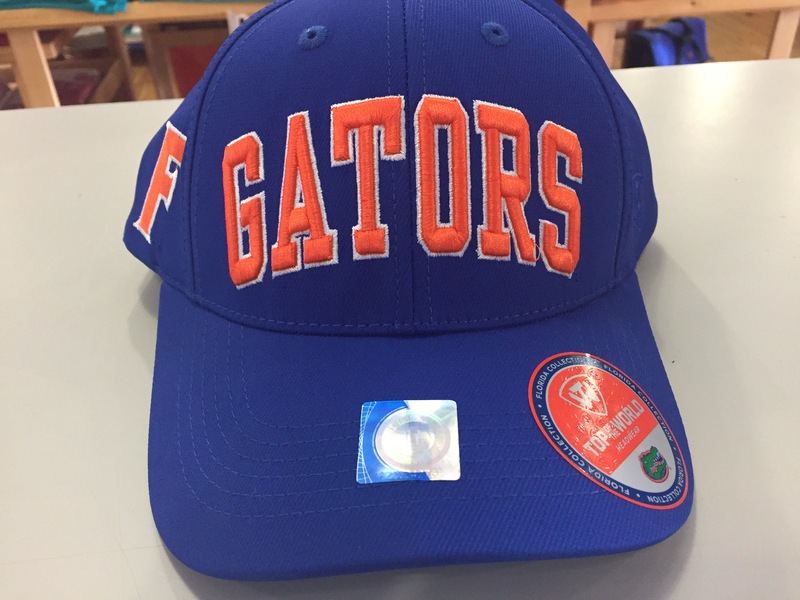 Blue Gator snap back with orange lettering. 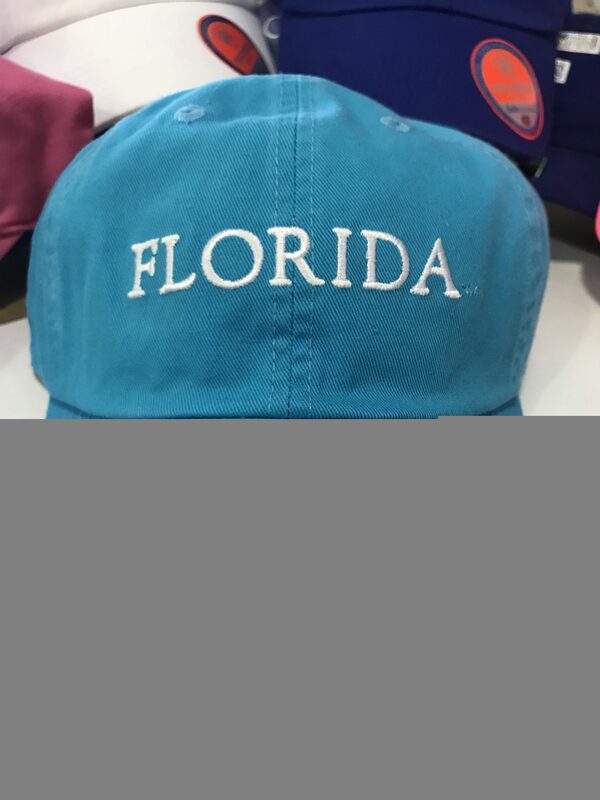 Orange italic F on right side panel. 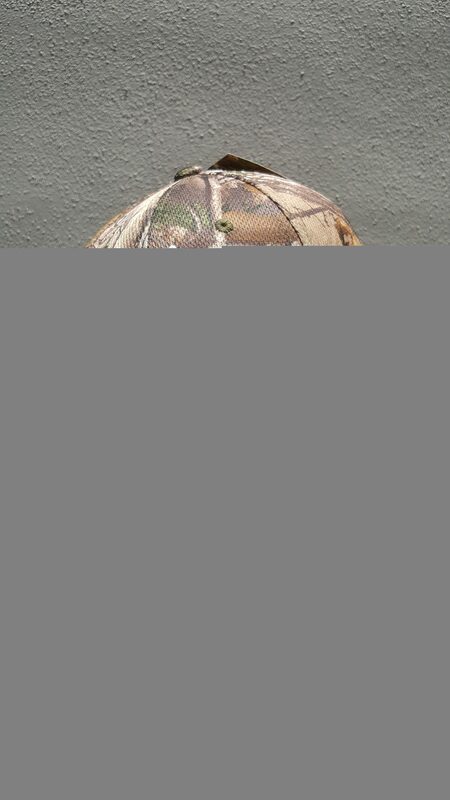 Top of the World Headware 97% poly 3% spandex.